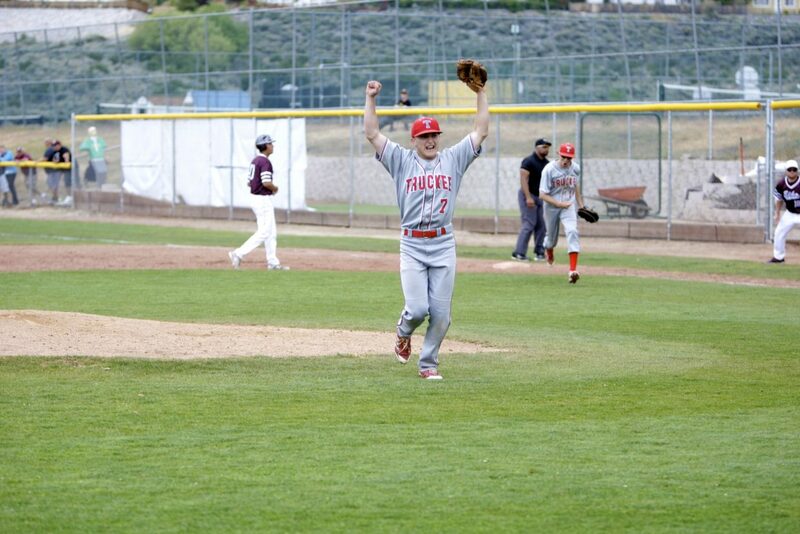 Senior Joel Estabrook celebrates after striking out Elko's final batter on Friday, May 18. 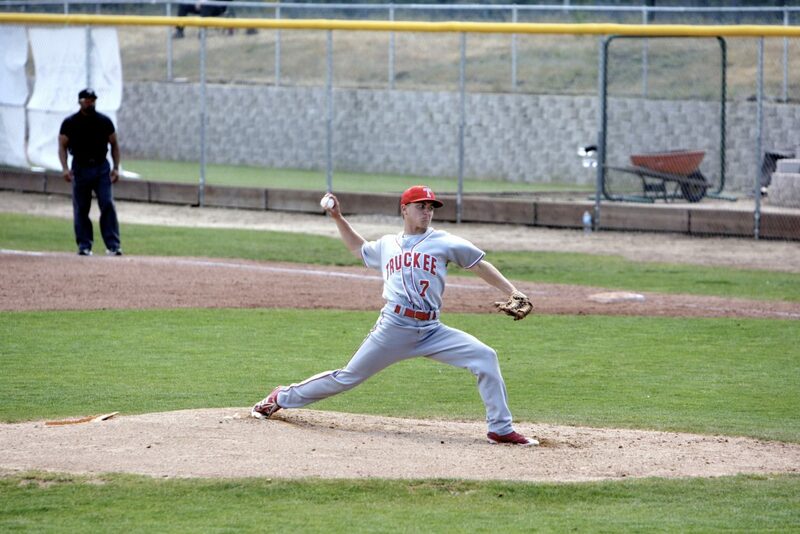 Estabrook tossed a four-hit, complete game gem. 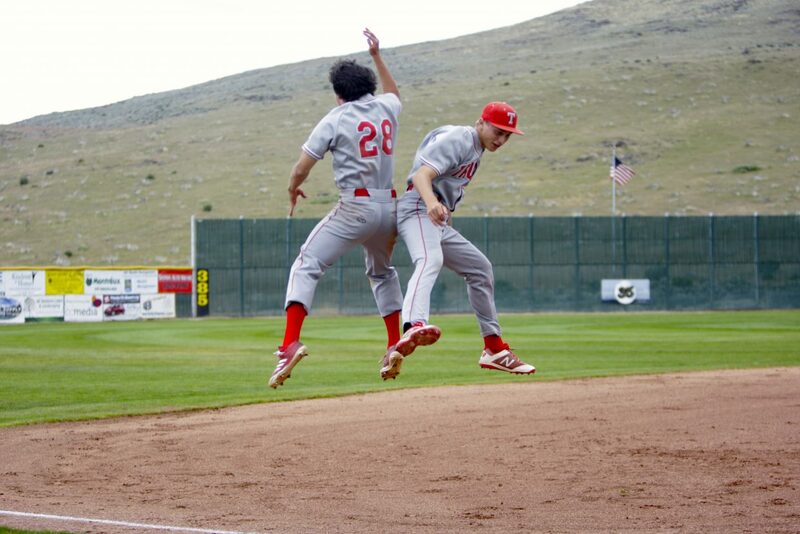 Truckee moved to within one game of a Class 3A state championship on Friday, May 18, with an 8-4 win over rival Elko in the winner’s bracket final. 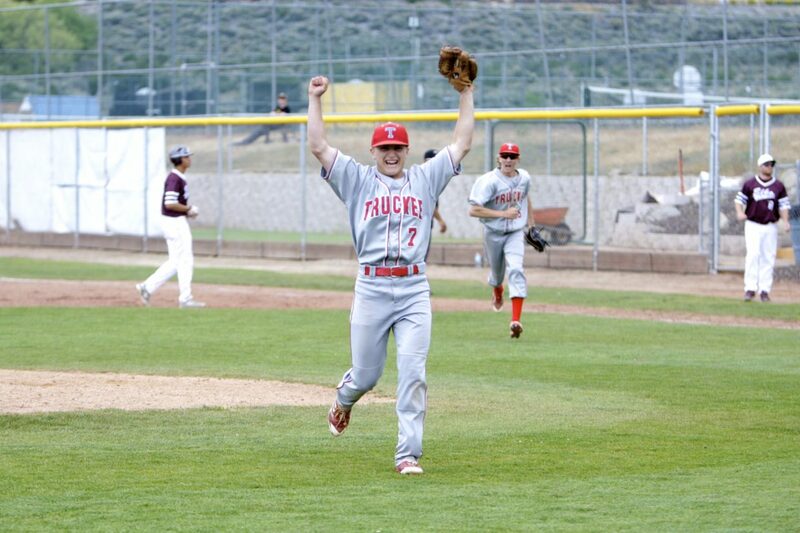 Wolverines senior pitcher Joel Estabrook got the start at Galena High School, and put forth one of his best outings of the season to propel Truckee into the championship game. “It felt pretty amazing. 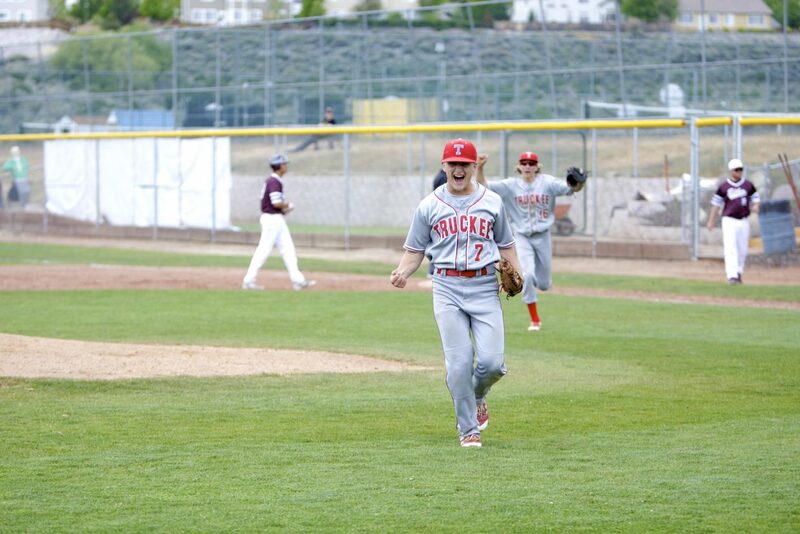 First time being at state, obviously it was more than me out there,” said Estabrook. 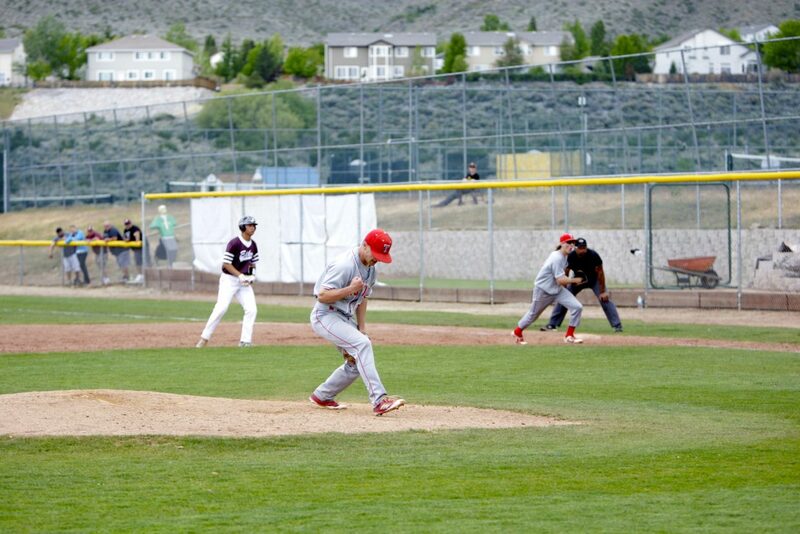 The Truckee senior shut down the Indians bats during a four-hit complete game effort, allowing one earned run and striking out three batters. 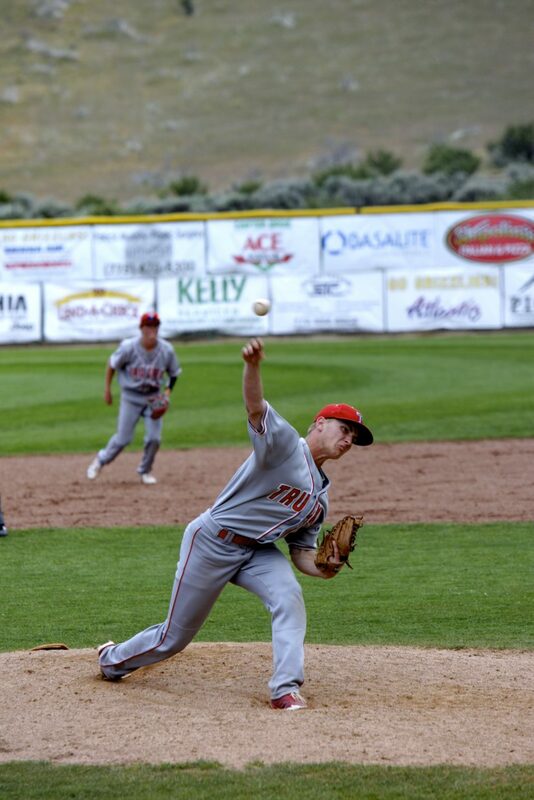 Estabrook capped off his afternoon on the mound by fanning Elko’s final batter, ending the game with a runner on base to push Truckee to within a game of a state championship. 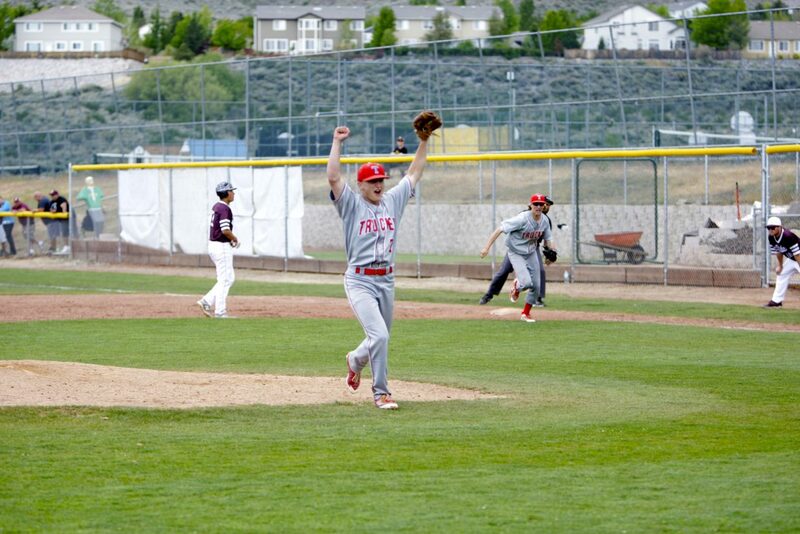 Elko, the Northern League champions, came into the game having beat Truckee twice in the regional tournament, but the Wolverines rolled to victory behind timely hitting as the “Two-out Nightmare” moved to within a win of the program’s first state title since 2012. “That’s kind of our motto. We don’t give up or roll over once we get those two outs. We keep grinding,” said Murphy. “There’s so much fight in these guys. 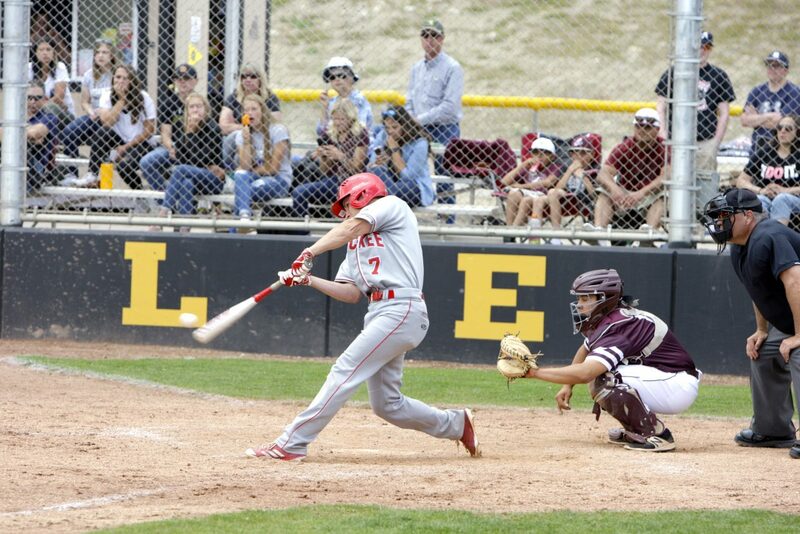 Truckee junior Marcus Bellon gave the Wolverines an early 1-0 lead, scoring in the top of the first off a wild pitch. Bellon finished his day with a team-high four hits. 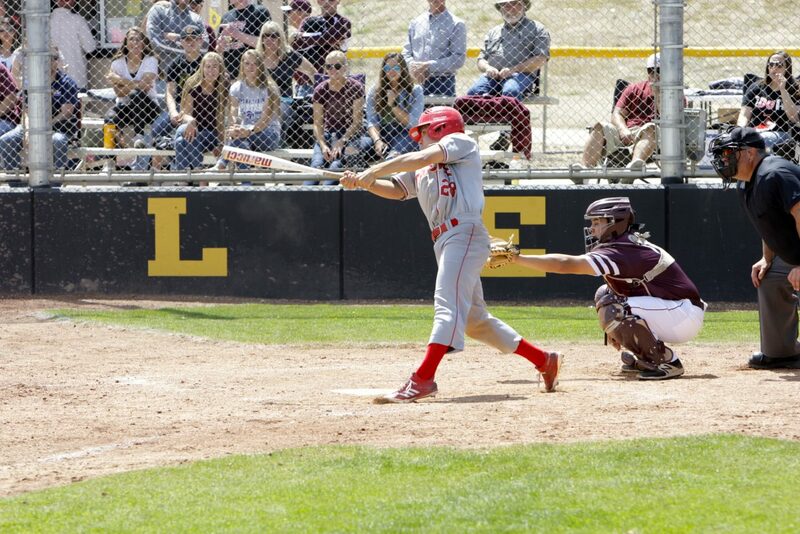 Elko responded with a pair of runs in the bottom of the frame, but Truckee evened the contest the following inning off a single by sophomore Tyler Estabrook. 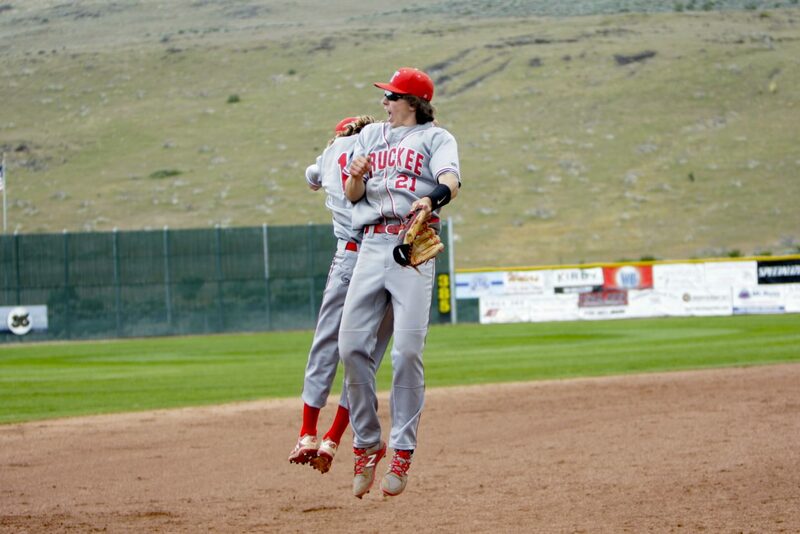 Truckee went on to plate two more runs in the third inning. 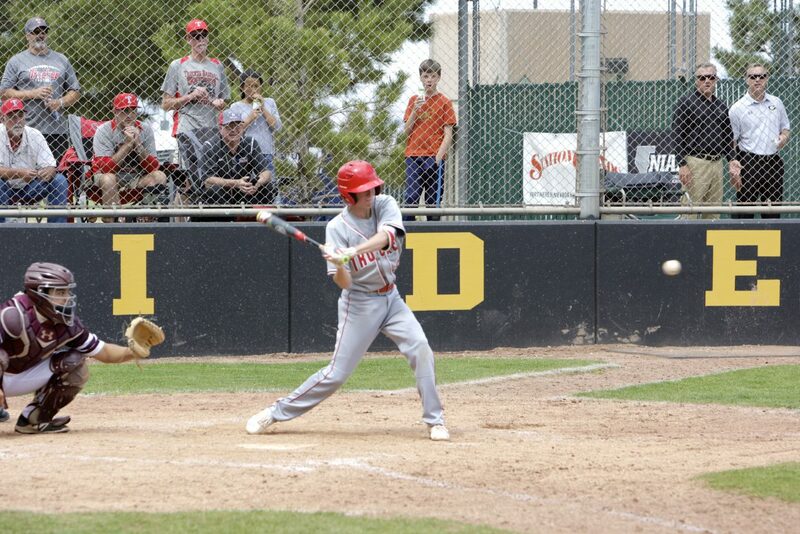 Senior Colin Just hit a double to score a run. 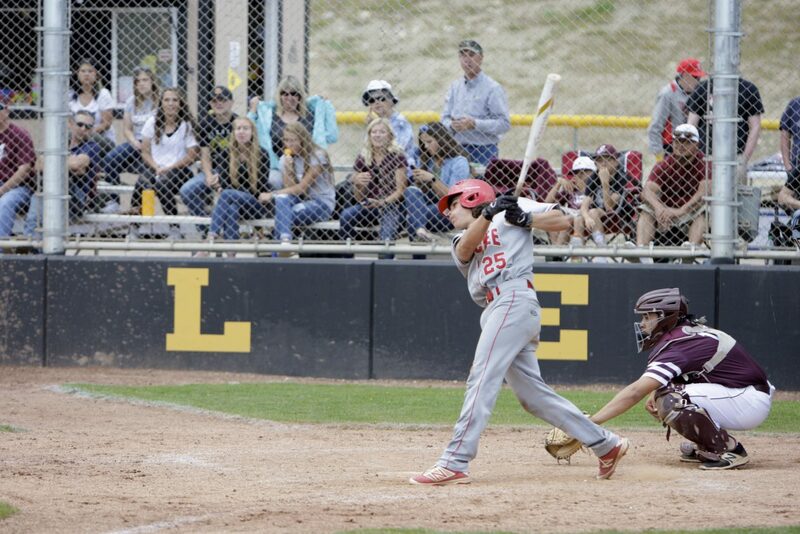 Junior Shane Poe then drove Just in with a two-out single to give Truckee a 4-3 advantage. The Wolverines continued their two-out magic the following inning. 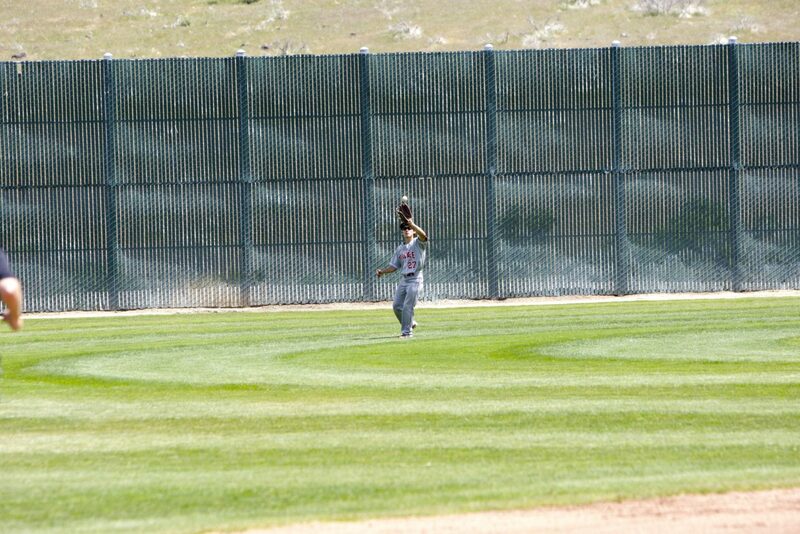 Just came back up with a pair of runners on and two outs, and drove a single into the outfield to score both runners. 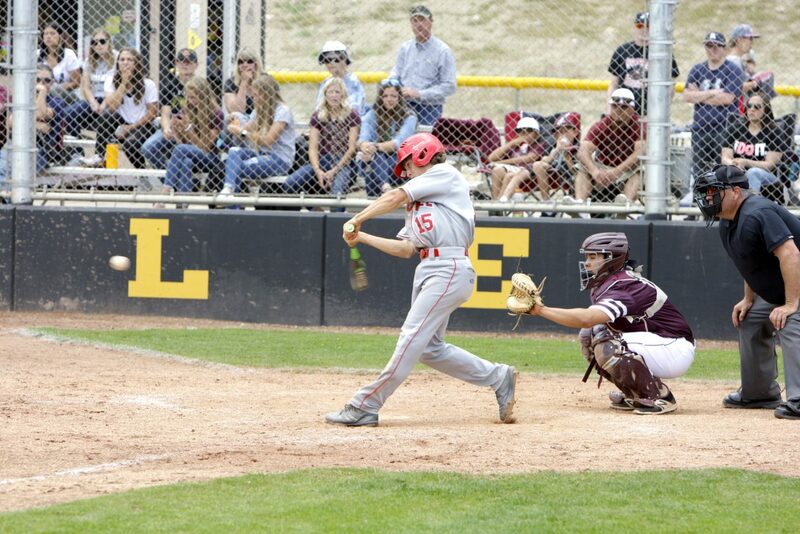 Junior Elliot Rost then singled to score Just. Rost finished his afternoon with a trio of hits. 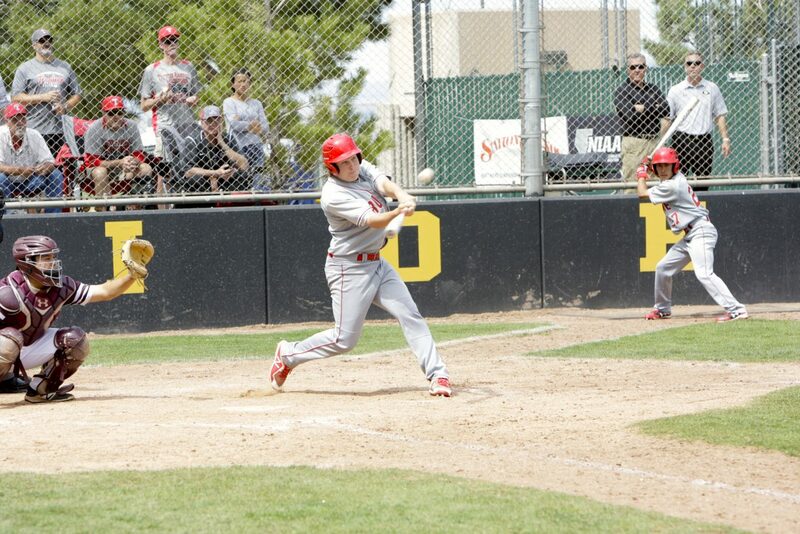 Just led Truckee from the plate with three RBIs on the day and a pair of hits. 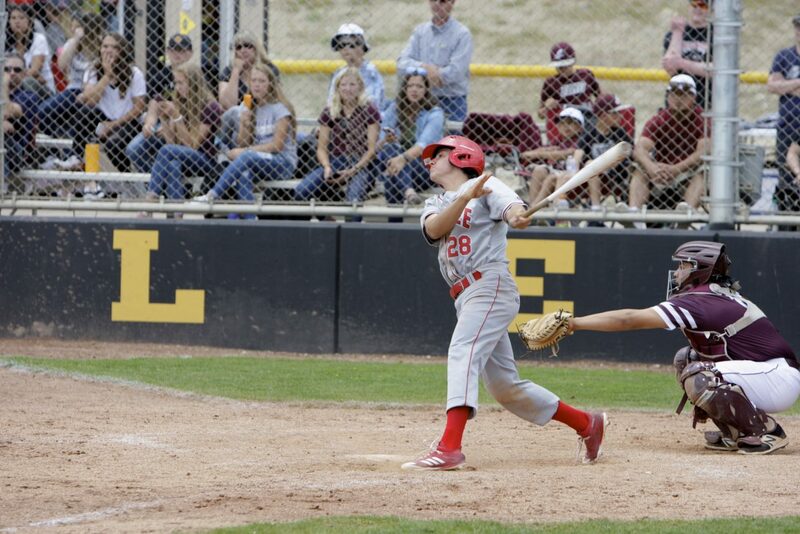 Truckee would give a run back in the bottom of the fourth, but retook a five-run edge in the top of the sixth off junior Spencer Edmondson’s two-out double to score Tyler Estabrook. The Indians tallied their final run of the game in the bottom of the sixth off an error. The Wolverines then sent out Joel Estabrook to close the deal. 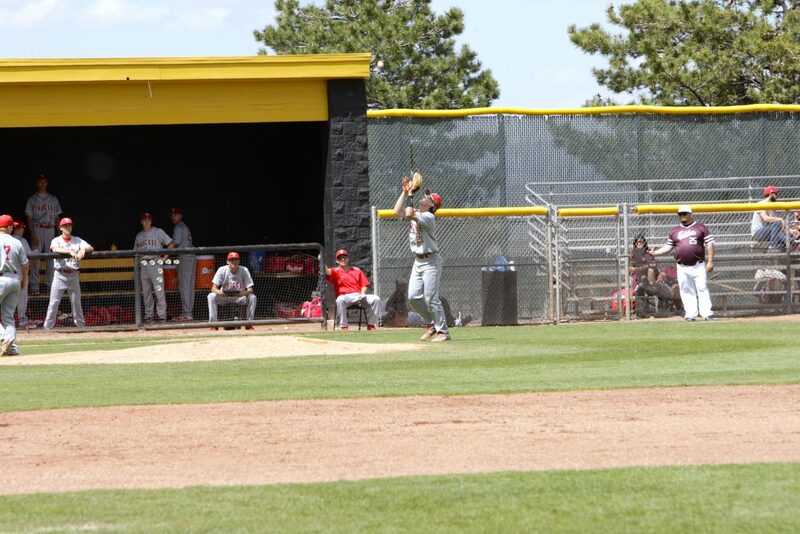 The senior pitcher allowed a single in the first at-bat, but then got a pair of fly balls, followed by the game-ending strikeout. 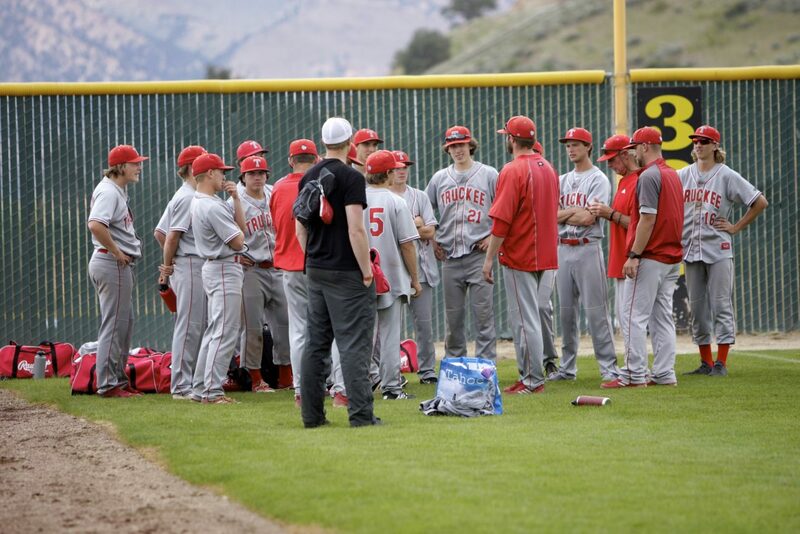 Truckee will now face the winner of Pahrump Valley and Elko tomorrow at 10 a.m. at McQueen High School in Reno. The Wolverines need one win to take this year’s state championship. Their opponent will have to win twice to capture the title in the double-elimination tournament.